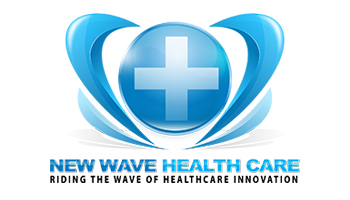 Dr. Jeffrey S. Slocum has been in practice in Mid Coast Maine for 19 years. After practicing in bath for 17 years, he decided to join Slocum Chiropractic a Maine Vitality Center in October of 2010. Dr. Jeffrey Slocum is the third in his family to operate Slocum Chiropractic since it open in Brunswick, Maine in 1969. Dr. Slocum is married to Debbie and they have 3 amazing children, Isabella 17, Amelia 14, and Andrew 10. As a family they enjoy spending time at camp, kayaking in and around Harpswell, Maine and spending time on the lake. Dr. Jeffrey Slocum is an internationally known expert and speaker on chiropractic wellness and care for the whole person. So three, two, one reg, Spi listeners that have an incredible guest today and that is actually Dr Jeffrey Slocum. Dr Jeffrey, how are you doing? I’m doing great. How are you man? I’m, I’m pumped to finally get to meet you on your birthday. You Bet. It is my birthday today. So yes, I’m. And you’re the only chiropractor. I’m actually interviewing and my birthday. How special is that? I feel great. I feel. I hope that you feel this was a good present for yourself as well. Exactly. I love these conversations. Okay. So we always said the episodes the exact same. So tell us a little bit about you, who you are as a person, a man. 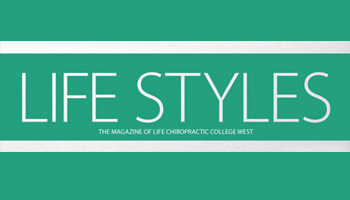 Tell us about who you are as a chiropractor and a leader in the profession. Yes. So starting off as a person. I’m a dad, I’m a husband, I’m a friend, I’m a son, I’m a cousin, I’m a brother. I wear all those hats and you know, ultimately I try to do my best in each one of them. So, um, it was halloween today. I don’t know if we’re allowed to say what day it is, but it’s all today. This is live right now. So, uh, you know, I get to go home after I see some members of my practice and do some work with allegion and spend time with my kids and we just moved to a new area and supposedly we’re going to have like a thousand kids at our house tonight, so we’re gearing up for that. So, uh, so that’s, you know, as a dad, I’ve got three wonderful kids. I’ve been married for 19 years now. And um, as a chiropractor, I’m the fourth generation chiropractor. I’m the 11th member of my family to practice chiropractic. Uh, I’ve, you know, I love practice. I love serving my patients, my practice members, my community, my partners. Uh, it’s, it’s, it’s special to me, right? So, uh, um, we’ve got multiple practice here in the state. We’ve got a lot of great partners and uh, and that’s, you know, we, we’ve started a couple of organizations, we, we developed a curriculum to teach kids spinal hygiene and backpack safety so that we could start using more of a dental hygiene model around the Chiropractic subluxation model and that’s been hugely successful in schools across the nation and globally. And um, you know, we just keep trying, keep working. The influent make some influence in this world, you know, I love it. I love it. Do you, you know, do you have any, uh, words have meaning, um, affirmation, a quote that you would like to share with our doctors today? Yeah. You know, whenever, whenever I’m asked that question, it comes back to Wayne Dyer. Wayne Dyer is somebody that, to me was just an amazing mentor in my life. And, and I actually got to meet him one time, which, uh, you know, it was amazing. I met him, I looked up at him, he looked down at me, we shook hands and I just lost it. I mean, every emotion that would have been stored in my body, in any negative way just flooded me. It was, it was amazing. But, uh, you know, the quote is when you change the way you look at things, the things you look at change, to me, that’s just so important concept for me and I share it with people all the time, is that our perspective means so much and it matters so deeply and uh, you know, not just good for perspective, but being willing to look at the perspective, the Lens that we look at things through and be willing to change if something’s not working for us, more often than not, it’s the perspective that we’re looking at it through. do you that right now, like I mean is it, is it, I mean I’m kind of far removed because I haven’t practiced in several years. Is it, is it more challenging right now it’s changed people’s paradigm of what health? No, I don’t actually believe that’s the case. I think it’s actually easier. And, and, and why I believe that is. I think that people are starting to have such a deep level of distrust in the sick care system and the whole premise of better health through better chemistry. So I think it’s really a great time for us now to be out there sharing a concept that makes more sense to people. So yeah, I think it’s actually a good time for us to be sharing those concepts. I mean, and you had mentioned like you’re, so you’re the 11th chiropractor in your family. Yeah. That’s crazy. Yeah. Was there ever a time, I mean, it sounds like to me, I would think, well if you’re the 11th chiropractor, you probably worse pretty much set up, had no challenges in practice and everything was just all flowers and sunshine. But was there ever a time where you experienced like resistance or challenges even in building your practice or at a time and practice? Yeah. You know, there were multiple. Okay. So, uh, I would say early on I had a certain amount of confidence, you know, I remember sitting in Chiropractic school and just, you know, almost being really belligerent one day with some, some chiropractic students with us that maybe didn’t have as deep a connection to Chiropractic is me. And then I reflected on it a couple of years later when I was in practice. And I said, where’s that really confident, almost belligerent dude that was sitting in chiropractor school that day, you know, cause I was in the real world at that point, Simon, you know, I, uh, 10 chiropractors that came before me all had a little bit different philosophies, different practice styles, different ideas or concepts around wealth are those things. So, you know, some of it’s a good thing that I came from that background and some of it I think caused me to have some challenges in that baby. I thought I knew more than I did, or maybe I had a level of confidence that I hadn’t arrived yet and needed to be kind of knocked off that, that, that confidence block a little bit to, uh, to realize that I needed good mentors. I needed to get clear on what my purpose was. I need to get clear on what my language was. 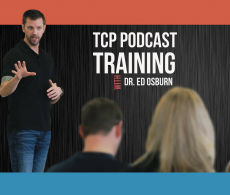 I needed to get clear on what my leadership role was going to be, whether it was just in my practice or when within my community or within the chiropractic community or globally. And having good mentors. One of my top mentors in Chiropractic is Dr Allen Russo. You probably know Alan. Alan and I have worked together for 20 years, but if anybody knows Alan, he’s a great coach, but he does. He doesn’t allow you to play small. He doesn’t, he doesn’t fluff things up too much. So many times that I’ve, I’ve had, you know, really let my ego go multiple times for me to grow and be able to serve at a level that I felt compelled to serve that, but maybe I couldn’t because I wasn’t willing to be vulnerable maybe or, or show weakness or whatever it was. Do you, do you think, I mean [inaudible] you before we send a recording me, we almost like we had a little bit of discussion of, you know, straight versus I’m in to say non-straight. Okay. I mean I was super straight, like when I started practice, like rigid straight. Do you find like, is it, do you think that there’s, there should be a level of tolerance inside of our profession for what and respect for others beliefs in what they are and how they practice or is there, is it like. No, there’s no sliding scale. You’re either straight or you’re not straight? Well, I, I think that that, uh, you know, I’ll just use my own family history. So, you know, one of the blessings for me to be a generational chiropractor is to be able to grow up in a world where I saw people revere my father, my grandfather, my uncles, just I, I’d be in public as a young child and see them shaking hands and hugging and high fiving and just everywhere we went they knew everybody. Right. So, you know, that was one of the things that drew me to Chiropractic is those kinds of relationships that I saw my, my, uh, my family members having. And I can tell you I’m probably more straight and most of them were and, and I’m not, wouldn’t be considered a straight chiropractor, but I can tell you this said, what really makes me, what hurts me inside about our profession is when you have people that have a particular ideology about chiropractic beating up, badgering, berating, belittling somebody else with a different philosophy or a different practice styles or hands only or instruments, or if you use therapy or don’t recommend exercise or you know, I got to see tens of thousands of people, whole communities understanding what chiropractic was from somebody that was less straight than I was. And I’m literally taking care of those people today. Fifty years later, I have people that are in our practices saying, you know, if it wasn’t for your dad, I wouldn’t be here today. So I think that we’ve gone way too far. And I think a lot of that comes from insecurity. You know, our profession’s not going to die because somebody puts stim on somebody. Come on. It’s so much bigger than that. Right? The essence of what chiropractic is is so much bigger than each of us alone, but it, it really needs all of us to work together and recognize that our similarities far outweigh our differences, our passions, faraway, any hatred we could ever, you know, share with one another. So let’s kind of get over ourselves, get over our differences and really work together to, to, to support one another and love one another. And you know what, when your practice grows, my practice rooms, that’s my philosophy. You know, I love this conversation. I don’t think we’ve had this conversation for quite some time inside a TCP, but you know, the, it’s so true. Like, you know, in when I was in practice, it was, it got to the point that it was like I was so, it almost paralyzed my ability to care for people because I was, I would be like second guessing. Like I’m like, can I talk about that? Is that congruent with my philosophy and being strict where it’s really just a conversation about, you know, caring for someone sometimes just listening. Right? I mean, so yeah. I, I, I totally hear what you’re saying here. And um, so let me ask you this, tell us a little bit about, tell us a little bit about the legion of Chiropractic. Tell us about how that fits into this conversation as well. Sure. Well, it fits in directly. Um, you know, there’s so many, there’s some, some chiropractors just, you know, they have it, they have the confidence, they have the, the language they have the, you know, when, when they’re in front of people they have, they haven’t exuberance, they have an energy, they have, they own it, right. And uh, you know, quite frankly that’s not most chiropractors, especially young chiropractors. Something about experience helps us to develop that. Right. And I have, I have no issue at this point in my life standing up in front of anyone and talking about chiropractic in any way for as long as you want me to. And I love it. Um, but most people can’t do that. So the legion is really a place where we have resources. So we have presentations, we have our learning curves, curriculum for teaching spinal hygiene and backpack safety in the classrooms. We have audio, we have, you know, conversational pieces about consultation, report of findings, recommendations, that kind of stuff. We have great alliances with other organizations that help. But really what it’s about is it’s about a place where people can go and safely say, this is who I am today, this is what I want to accomplish tomorrow, who do I need to be and how can you guys help me get there? Or this is where I am today and I’ve got so much confidence and so much passion that I want to share what I’ve done and who I’ve become. Right? So, but what we don’t do is we don’t have conversations about who’s better, who makes the most money? Who sees the most? People drives the fastest car. Who has the most beautiful wife and kids, you know, that’s not part of the conversation, the region. It’s really about creating relationships that matter and have meaning and lead to greater value for everybody. I love that. I love that. I wrote down. I’m always makes all these notes for. I wrote down two words. One is posturing and the other shaming. Right? There you go. Yeah, I’ll. Absolutely. Yeah. How often would you see these things? Even when I was in inside of management with management, I, I, I would, I felt myself now, well maybe I didn’t see it at the time, but it’s like, oh wait, I’ve made this level, I’ve seen this many people this week, you know, that kind of thing where it really was just kind of posturing. And then the shaming aspect of it too. I see that especially on social media with our profession. Absolutely. So it is good to have a safe place like legion of chiropractic where people can go like chiropractors, like a safe place where they can go and not be judged, but they can get what they need to be successful in business and help more people. Yeah, man. Very cool. Okay, so what we’re gonna do is we’re gonna take you and we’re going to put you into the TCP time machine. Are you ready? Sure, man. All right, so here’s, here we go. I’m going to need a helmet. No, now you’re good. It’s going to adjust it afterwards. So we’re gonna put you in TCP time machine. We’re going to send you back to a younger version of yourself now. This is right after you came out of Chiropractic College. You have all the experience and the knowledge that you have today though. So when you meet that younger self, what would you say to that younger self? I would say don’t be afraid to tell the truth as you, as you believe as you own it. Right. So I think that myself, and going back to what you said earlier, asking me earlier is uh, um, I was afraid to tell people the truth because I was afraid they wouldn’t accept it. I was afraid they wouldn’t believe me enough to allow me to support them. Um, you know, I would, I would do anything to have somebody stay with me for six months just to prove my goal. I would, I would pay them to stay with me, man. Right. It wasn’t because necessarily I had a, um, an issue with money at the time I had an issue with whether or not I had the strength of the conviction or the whatever it was to help that person get there. So instead of just telling my truth and being as passionate as I could about it, I would try to tell my truth in their way and it didn’t translate. It did not translate, um, now translated well enough that I was able to build great practices and great teams and a fantastic life for myself and my family. Um, but the road to getting to where I am today really was bumpy in those early years because of just my, my lack of ability to stay convicted if you would, what I owned in that moment, which is different than what it is today, but you know, be true to yourself what it is you own and don’t tell, don’t try to sell something you don’t know. You know, that’s kind of like if you try to sell something, you don’t own your stealing. Yeah. I love this because how many, how many times is a chiropractor or as a business person, can we, can we get into that place of where we kind of lose a sense of who we are? I’m trying to, trying to get to a certain level of success, that authenticity. Well, absolutely in that, that comes with that, that brings with it all kinds of other things. Um, so you know, those early years I wasn’t a very healthy dude and uh, you know, it wasn’t healthy in my lifestyle. I was making poor choices. I was doing things that were toxic mentally and physically and, you know, quite frankly, I think all of it was because of that level of insecurity and that, that in Cuba truancy that I had at that time, I wanted to help people so bad, but I wasn’t willing to trust and who I was and I didn’t have a deep enough level of certainty around it. So it was, I was just incongruent and it led to some really not good. Not good times, man. So, uh, anyway, that’s what I would say is, you know, wherever you are, whatever you own, sell it with every ounce of your being, own it, own it. Absolutely. I love it. So, um, I always say at this point in the podcast, loved to ask for resources. 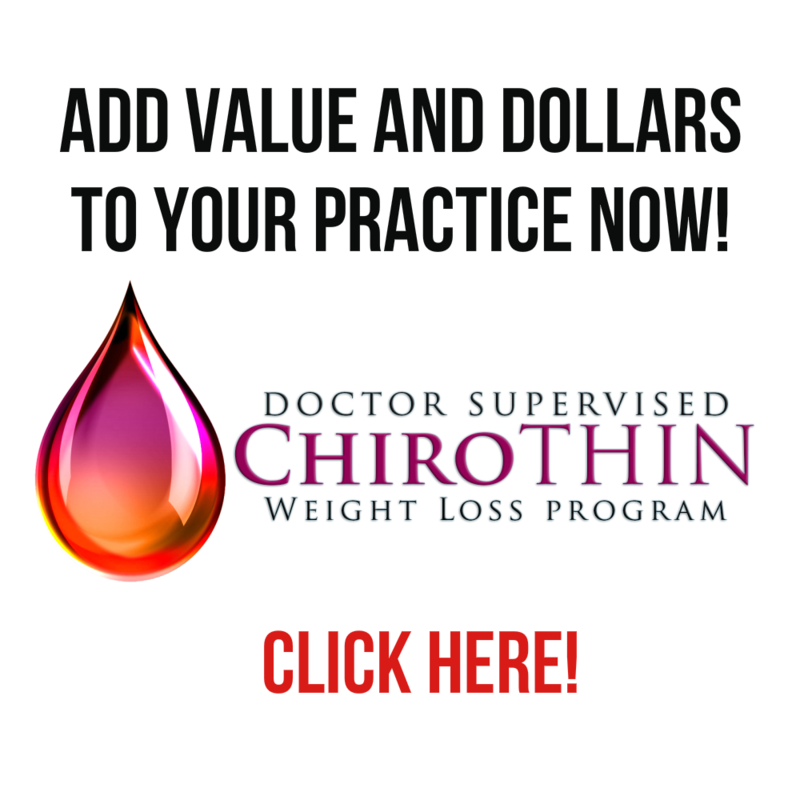 I’m just going to drop the resource that you already have kind of provided, which is a legion of chiropractic.com. So hopefully I’m getting that url right. 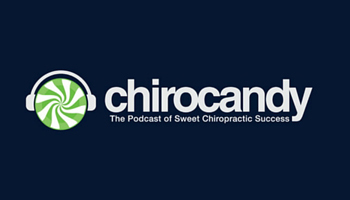 So listeners had to the chiropractic philanthropists.com. We’ll have a webpage dedicated to our discussion with Dr Slocum today. We’re also going to have links to all of the resources he’s provided. If you’re listening on your mobile, you can actually expand. Open your show notes right now and connect with legion of Chiropractic.com right from your mobile. All right, final question, resource person, podcast book, anything you think right now, Dr Scott should go and seek out and consume. What is it that you recommend? Well, I know this guy named Dr. Ed Osborne, the students, some really cool stuff, right? So they’re here already. Come back again. Watch this because, uh, you know, you work really hard at bringing great stuff to us, so thank you very much for the work that you’re doing. Yeah. Um, one day I’m going to have a cool car like yours, but not until I moved to New England because I don’t want to ruin it up here. You know, here’s a book that really changed my perspective on things is a book called the four agreements by Don Miguel Ruiz. Okay. Absolutely phenomenal book. So really he talks about in that book that we make agreements with ourselves that are other people’s ideas and concepts of ourselves, of us. And he talks about the four things that we need to make new agreements on. One is always do your best to never take anything personally. this is awesome and I’m going to add to that so that because they’re so good. I had the four agreements laminated and they were on. It was on each workstation when I was adjusting. Nice. I like it. It was for me though, but it wasn’t for them. Right, right. It was so easy. I just found it was really easy for me to sometimes go to a place of ego or you know, so I would always look at it. I’m like, how can I be impeccable with my word when this person’s dragging now or something like that. So thank you for that. It’s a really awesome reminder. I forgot that I had that. Um, so again, listeners, you can head to chiropractic philanthropists.com and we’ll have all the links and the resources that Dr Jeffrey Slocum has provided today. Doc, I want to thank you so much for being on the podcast, brought the fire. I love it. Thanks buddy. You too man. So we’ll have to get you on the lesion one of these days. That would be great. All right, cool.